Today’s post is written by by Jennifer Blanchard of InkyBites.com. As if you don’t already know, Taylor Swift is a country music sensation, with numerous hit songs, a growing fan base and even more on the horizon. But the reason she’s made it this far isn’t just due to her vocal and songwriting abilities, but also to her knowledge of what it takes to be successful. She’s a marketing genius and an inspiration to all writers, whether she knows it or not. Swift’s songs are like mini stories. Each one tells of love won or love lost or some other aspect of life. She draws her inspiration from her life and all the things that happen to her. If you’re going to be a successful writer, you need to have a story to tell. You need to dig deep and write about things that have happened to you (remember, you can fictionalize, that’s what makes it fun). Or write about things that have happened to other people, like Swift does. The key is to pay attention to what’s happening around you, to you and to other people. This is where great stories lie. In Swift’s E! TV special, she says she likes to write songs about love and relationships, because those are the things that fascinate her. Are you writing about what you love? Or are you writing what you think you ‘should’ be writing? If you answered that question with anything other than ‘yes,’ it’s time to reevaluate the things you’ve been writing. What fascinates you? What lights you up and fuels you to keep on moving forward? Those are the things you should be writing about. Write what you love and you’ll never work a day in your life. If Swift is anything, it’s an expert in gratitude. She’s learned how to make it part of her everyday life, and that’s what helps her keep and attract more and more fans. She is always going out of her way to make her fans feel included or surprising fans who give her the most support. How do you show gratitude to your fans? Is there something you can do to show them how much you appreciate their support, like offering a discount on one of your eBooks or giving them a freebie piece of content? Find ways to appreciate your fans and you’ll cultivate a community who will surround and support you. From a very early age, Swift knew what she wanted. She knew what her dream was. And she wasn’t willing to compromise, not for anything. In fact, when she was just thirteen years old she signed a development deal with a big-name record label in Nashville. For a year they paid for her demos, brought in songwriters to collaborate with her and watched her as she wrote and sung new songs each week. When a year came up on her contract, the label had to decide whether they wanted to keep watching her progress or sign her as an artist on the label. They decided they wanted to wait ’til she was 18 before they put out a record. Swift had a big decision to make—she could walk away from a deal with one of the biggest labels in Nashville, or stay and wait four more years before anyone got to hear her music. Many people in this situation would most likely have stayed, for fear of losing the record label and the dream they’ve fought so long for. Swift did the opposite. She walked away from the label and the deal that was on the table. She knew what she wanted and she was willing to stand her ground for it. I’m pretty sure that’s why a short while later she got exactly what she wanted. How can you stand your ground with your writing? Are you compromising your writing in any way? Asking tough questions like this can help shape you as a writer and prep you for transitioning to author someday. I’m sure you’ve heard a million times that it’s important to be memorable as a writer and author. And it’s completely true. Swift is known for writing songs about her past relationships. Everyone knows if you piss her off, sheís going to write a song about it. What do you want to be known for? What’s your bigger message as a writer? As you begin to create your brand as a writer, you can use your bigger message to craft your marketing plan. Taylor Swift will continue to find success in the future if she keeps doing what she’s doing. And you can use her techniques to find some success for yourself. Which Taylor Swift-inspired tip are you going to put to use today? About the Author: Jennifer Blanchard is an author, coach and the founder of InkyBites, a blog that helps writers nourish their creativity through simple food and lifestyle shifts. If you want to have more productive writing sessions, grab yourself a copy of her free eGuide: Clarity Smoothies For Writers. I’m a big fan of Taylor Swift. I admire her ability to take the pain and life lessons she’s experienced and turn them into an anthem that her fans feel mirrors their own experiences. So many good tips, but the one I think I need to focus on is: “Be Known for Something.” Thanks Jennifer! She’s very good at putting emotions on paper in a way that makes sense and resonates. I’m jealous of her, hehe. Yay for this post. I love Taylor Swift’s ability to stay true to who she is, Besides that, this girl “writes” what she knows! She teaches us simple and pure lessons. Gotta go now and be me and write! Excellent post, outstanding advice–even if I don’t like Taylor Swift 🙂 What most resonated with me, today at least, was not compromising your writing. I see a lot of that in my writers’ group–people that believe there’s a formula for successful writing, and thus produce cookie-cutter material because they think that’s what’s required. It’s easy to fall into that–takes guts not to. Glad you’ve realized this, Guilie. That’s the hard part, so congrats! That’s great! But also be thinking about how you can show them your gratitude right now. Can you give them another story? Or some other kind of freebie content? Can you say thanks to them now? Because now is the time that matters. Sure, you’ll thank them when you publish your book, but in the mean time, use gratitude to keep them hooked until that moment happens. Very good article. I agree with each and every point! I am only scratching the surface of what I want to write in the long run. I want to be known and remembered as a writer who both entertained and helped people heal and have hope for the future. The first step to figuring it all out is making a plan. What do you want to have written by the end of 2012? Make that list then work backward from there to figure out what you need to be working on and when. That always helps me get started! This is a wonderful post. Taylor Swift is an amazing music artist. 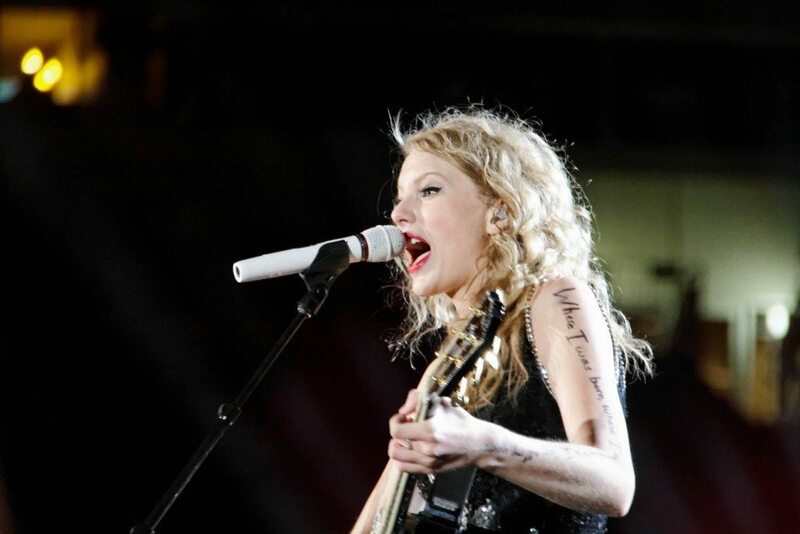 I love it that she writes her own lyrics and music and is so honest in everything she does. She’s a terrific role model for everyone!